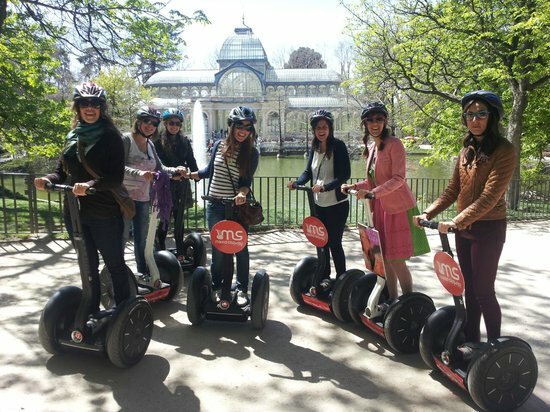 Enjoy an hour in the heart of the capital, the Parque del Retiro in Madrid. Explore more than 118 hectares full of history, from its monuments, the pond, the Crystal Palace and the tree diversity, with more than 19,000 trees of 167 different species. An ideal place to escape of the frenetic pace of a big city like Madrid, where lovers of nature, sports, leisure and gastronomy come together. This 17th century park is one of the best areas of Madrid, between the Prado Recoletos and the Salamanca district, from here you can visit the Prado Museum, shop in Calle Serrano or visit Velázquez and surrounding areas. Reservations 24 hours in advance. (+34) 608 419 513. Recommended age older than 10 years.